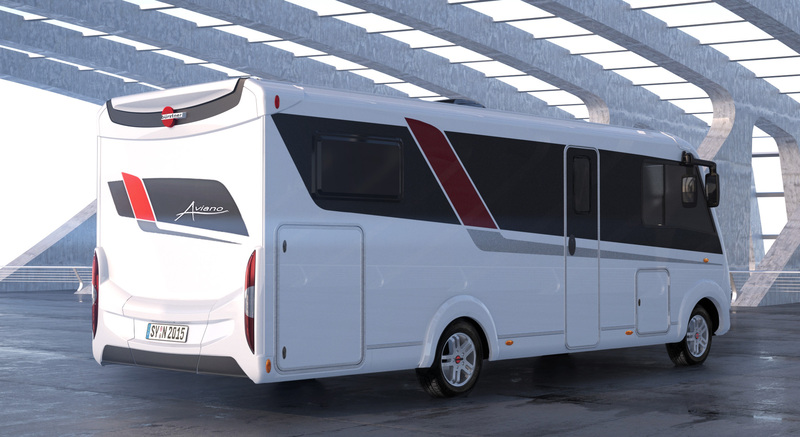 STUDIOSYN creates the new Bürstner fleet. "New Generation 2016" is Bürstner's slogan of the upcoming season. And there couldn't be a more suitable slogan for STUDIOSYN as well. 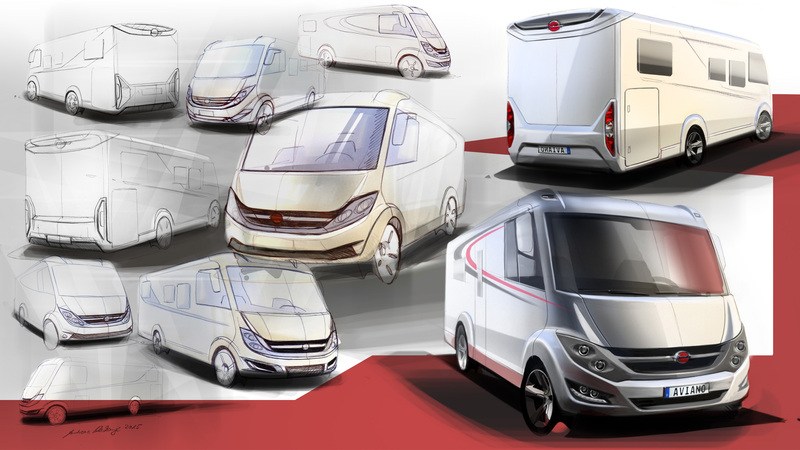 Because since early 2015 STUDIOSYN works for the Hymer Group on their new generation of motorhomes and caravans. A cross-platform strategy, to reuse as many already existing parts as possible, was the starting point of the project. 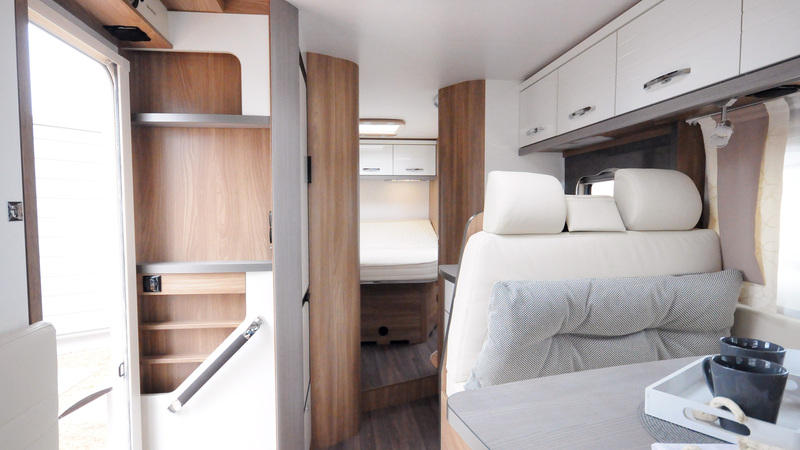 That is why we were strived to avoid the use of expensive extra parts and still create a fresh and high-quality appearance only by formal details and attractive proportions. 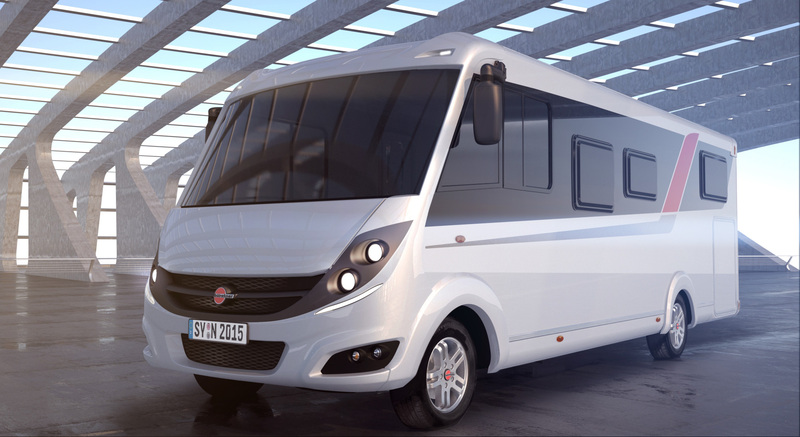 Therefore, especially the dark headlight section serves as an effective eye-catcher while reinforcing the Bürstner specific look. 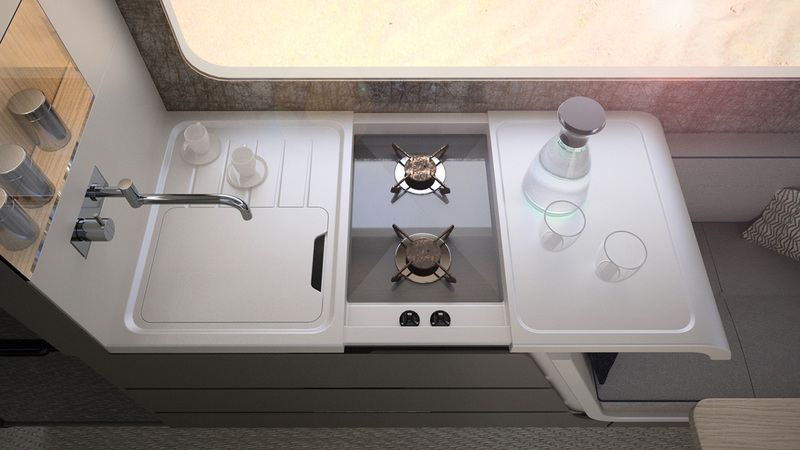 The new Aviano wants to be modern, but not intrusively. 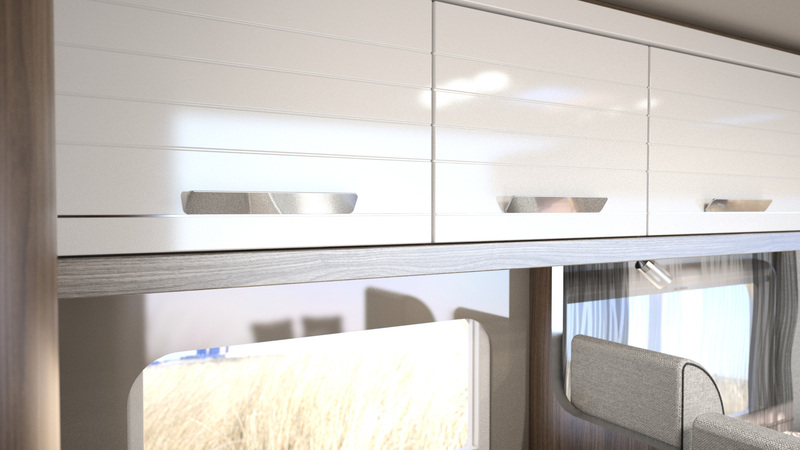 While the exterior design communicates an automotive approach and sporty attitude, the interior aims for a more elegant and comfortable appearance. 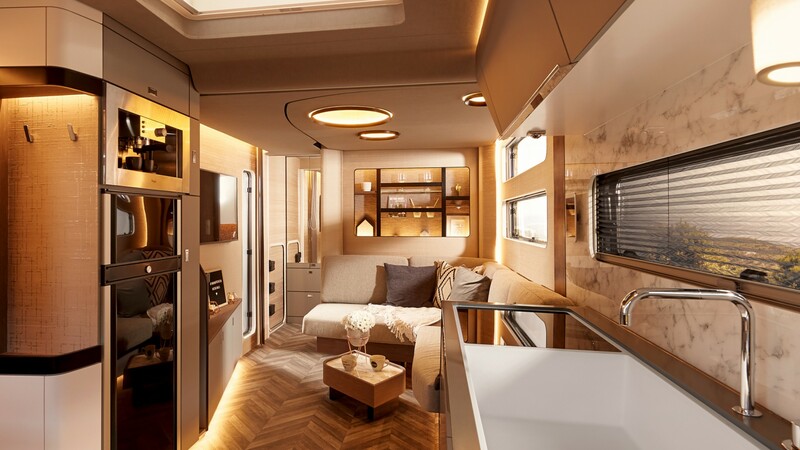 With the claim "Let's make a lot out of little" in mind, the formal details and the bright colors of the interior give an unexpected generosity and value to the RV.